2014 was a horrible year, but it did have good eggs. 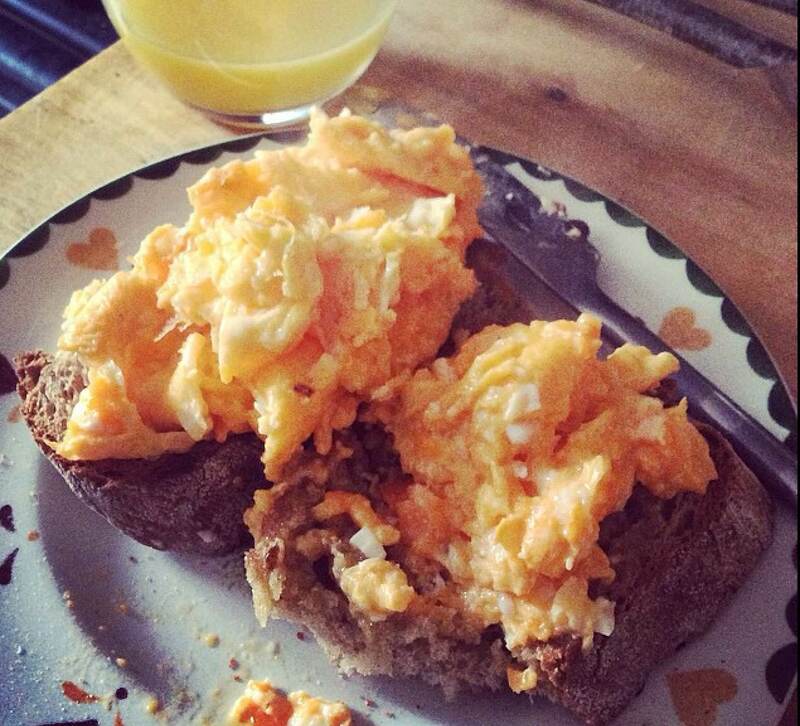 Here are my twelve favourite eggs of 2014-ish, and how to make them. In January this year I discovered how to acquire proper eggs in London, and the answer is to spend money. Buy the very best eggs you can. I have sung the praises of Clarence Court here before, but they really are for my money the best eggs you can buy in London. I missed proper yolks until I found their Burford Browns. They are golden. Perfect perfect sun-up golden. Bloody hell, I loved this. Quails’ eggs (quail’s eggs? quails eggs?) need only a couple of minutes in boiling water; kale needs four minutes to steam (maybe with a little sliced-not-diced red onion, and a teaspoon of pomegranate molasses); and a pomegranate can be de-seeded in a matter of messy seconds. Dress with lime juice. This was so good. I have never had a good poached egg outside of a restaurant. No, not yours with your weird rubber contraption. No, not yours with your metal thing. Especially not yours with the white vinegar. I am sorry to say it, but it’s true: I think poached eggs are a goddamn lie. These particular goddamn lies, though, were very delicious, and impeccably symmetrical. I think they were from the Marksman, near Columbia Road. There is, however, an excellent substitute: it is the soft-boiled egg, peeled and smashed. Delia Smith is the egg-goddess (she is absolutely the chicken-woman of the culinary circuit, no? ), and she does her eggs like this: bring a pan of water to the rolling boil. Deposit your eggs within, using a big spoon. Time one minute precisely. Cover, turn off the heat. Time six minutes. Plunge eggs into iced water, and peel onto some kitchen roll. Put the lid on. This is the single best tip I can give you for perfect fried eggs. Get a really good non-stick pan nice and hot over a goodish gas jet. Crack your eggs in. Cover immediately. (A plate will do, if you have no lid. But get a lid.) Cook for 3-ish minutes, until the white perfectly firm and the yolk perfectly oozy. This is the only way to fry eggs. The salsa is leftover from the previous night, and is probably comprised of very finely chopped tomato, pepper, cucumber, spring onion, red onion, and fresh red chillies, dressed with salt and olive oil over a colander to dry it out a bit. Fresh and gorgeous and new. A very spring egg. The recipe for this is over here, but refused to be left out of the best eggs of 2014. Those eggs made that pie. What did Danny say? “Hard-boiled eggs buried like treasures.” God bless Doctor Spencer, god bless Danny, god bless eggs. and raw sliced red and yellow pepper (but never green, and never boiled). I love dippy eggs so much that I am going to have a boiled duck egg and sliced red pepper the minute I finish writing this post. As above: trust in Delia, only this time keep the lid on for seven minutes. Fry off some of that long, curly, thin pancetta, until crisp. Slice a goodish bit of bread. Slice a wedge of some fat cheese: I think, looking at this picture, that that is goat’s Camembert, which a person can buy from Sainsburys. Peel and split the eggs. Pile in. A good hearty back-to-school egg. I think this was to use up a whole lot of leftover greens: some beans, and whatever those fat little beans are called, that were two-days-dressed in a sharp vinaigrette; a fistful of frozen peas; some soy broccoli; some past-its-best asparagus. I chopped them roughly with scissors, tossed them with some olive oil and balsamic vinegar, and some little quartered figs. And two soft boiled eggs. Gorgeous, gorgeous, gorgeous, because the yolk sort of dresses everything else. I did eat eggs in November, I just appear to be oddly lacking in pictures. I ate omelettes, and forgot to photograph them. My friend Harry Harris would like to make 2015 the year of omelettes, and you can find him on Twitter for advice and suggestions at #OmeletteTwitter. He is a remarkable egg fiend. For my part, I will advise you only to get a Really Good Pan. I wrote this last year about my Christmas breakfast (a sort of variant of the one with walnuts above), but this year I just went for scrambled. And it was delicious. Non-stick pan on a medium heat. Break the eggs into a glass and whisk with a fork. An incredible quantity of black pepper. A bit of sea-salt. Don’t over stir, once the eggs are in the pan. Perfect. And that’s all. That’s the best eggs of 2014. Here’s to many excellent eggs in 2015. 2014 (horrible, horrible year, good riddance to it) also had many good eggs in the people sense: you know who you are. Special thanks to everyone who came to dinner in 2014. Double special thanks to Caroline and Tall Man for listening to all the whinging. And to Harry Harris for the nice songs.